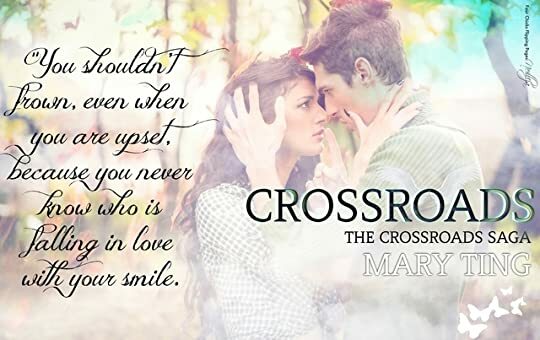 Crossroads is a story about family, friendship and love. I enjoyed the world that author Mary Ting created, this Crossroad between heaven and hell. This book went through a lot of explanation on what the Crossroad is about and who Claudia is. But from looking back, I see that all this is just the beginning. That Mary Ting didn’t even get to half of what Crossroads is about. The beginning of the book talks about Claudia losing her friend with the same name. It tore me up inside reading about losing a loved one, because I know exactly how that feels. Once Claudia met Michael at Crossroads, I know things were about to take a turn. And and sure did, the story became what I was hoping for in a paranormal reader. What made me really fall in love with the story is the love that Michael and Claudia had, they were very sweet and will do anything for each other. Michael was gentle and very attentive to Claudia’s needs. He was so pure of love for Claudia, that if presented a choice he would die to save her. Of course every time they have their special moment, Michael always opens up his wings to cocoon them inside. That to me is a sight to see, I can really imagine this couple going through that and their loving friend Davin always having bad timing, who always ruin their special time together. But I loved Davin, who was a great friend and a big part of Michael and Claudia’s life. Yes this book is YA Fantasy/Paranormal, but I enjoyed it. I loved the sweet innocent love, the sweet kisses that have never turned dirty. These are the kind of story that makes me feel like a giddy teenager again. I live for the longing stares, that gives me butterflies in my stomach and that’s what Michael and Claudia did to me. If it wasn’t for school starting up again, I would’ve finished this book in one sitting. I really enjoyed this book and I cannot wait to read the next book in the series.